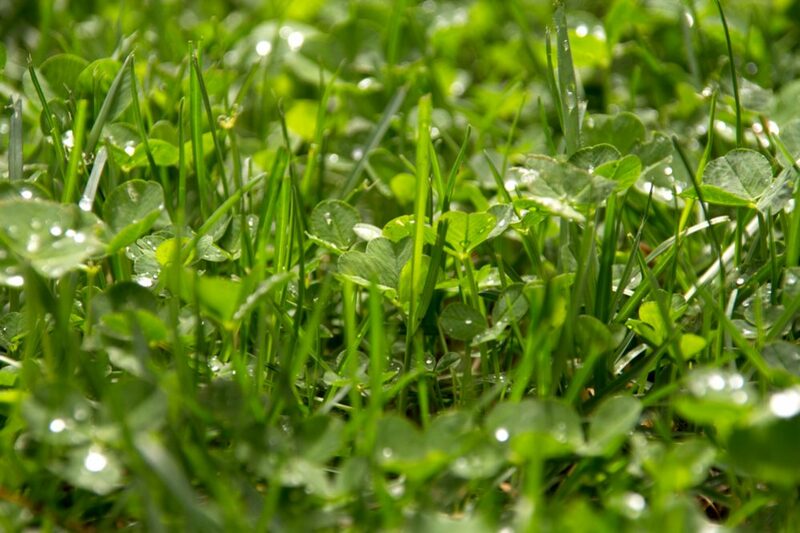 The natural lawn will require your spare time, adequate soil, and a lot of maintenance. If you want to get a beautiful yard for a short time, maybe you should choose fresh, natural sod (turf) for you and your family. It is actually an instant, entirely weeds-free impact solution, especially if you have no patience or time to plant a lawn. Let’s do it together! Don’t spend a lot of cash to lay down a brand new sod before testing the soil in your yard. The goal is to provide the best environment necessary for your new lawn to become healthy and vigorous. Both spring and fall are excellent seasons for that job. In general, you can buy a do-it-yourself kit in the local garden center or even make a DIY home test soil kit by yourself. It will be good enough for determining the pH of your soil (pH value determines the level of its alkalinity or acidity). Also, it can show the levels of nutrients such as nitrogen, phosphorus, and potassium. 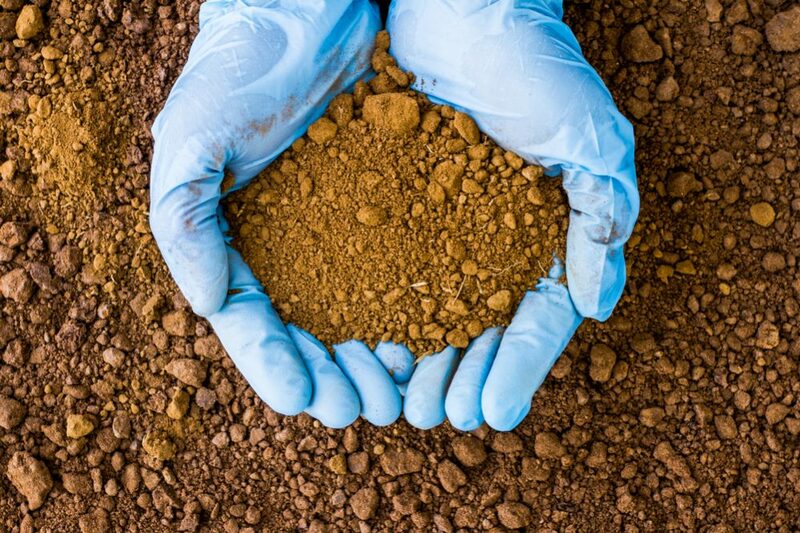 However, if you want to get more accurate results, you need to send the example of your soil to the competent state university or local county extension service. 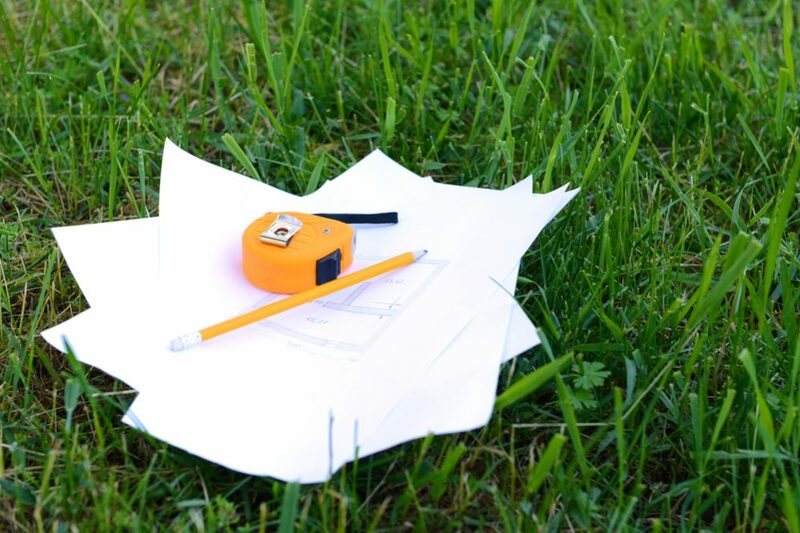 For about $15, you will get a complete analysis (texture, pH, and the level of all crucial nutrients) that will make it easier for you to choose a proper sod for your yard. Moreover, they will recommend you how to correct any problem with possible deficiencies. The first logical step is measuring the area where you want to lay the new sod. Try to be precise as much as possible to avoid paying unnecessary surpluses of turf. On the other hand, it is not advisable to order the precise amount of content. That way, you can face the problem of lack of material that may occur due to the circumcision of a part of the strips. Always keep in mind that placing the sod on the parts of a yard which are not the regular quadrilateral pieces of land implies wasted parts. You need to calculate this deficit when making an order. In most cases, it is recommended to order approximately 5% more than the results obtained. That surplus will give you enough sod to make the necessary cuts and fit every curve. When it comes to procurement, it is always better to choose a reliable supplier and buy turf directly from a sod farm or through a local garden center. There are also reliable companies you can find on the Net that provide an excellent supply of turf. Moreover, you can calculate how much does sod cost and get the best product at an affordable price. Keep in mind that the top-notch supplier needs to ask questions about your land in detail, including available sunlight, are some pieces of your lawn in the shade most of the day, are there any hardiness zones, and how intensely and for what purpose you and your family use the yard. The answers to these questions will determine the types of grasses in your sod. 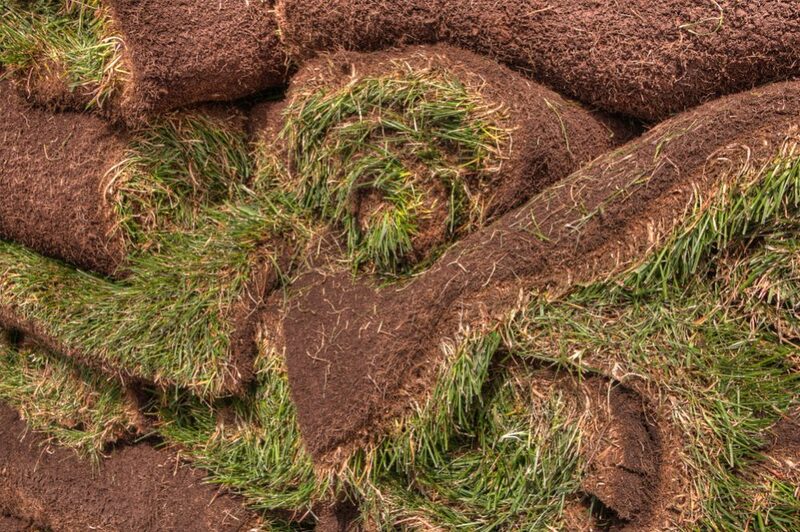 Check if the provider distributes turf within 24 hours after cutting and plan to lay your new sod on the day of delivering. 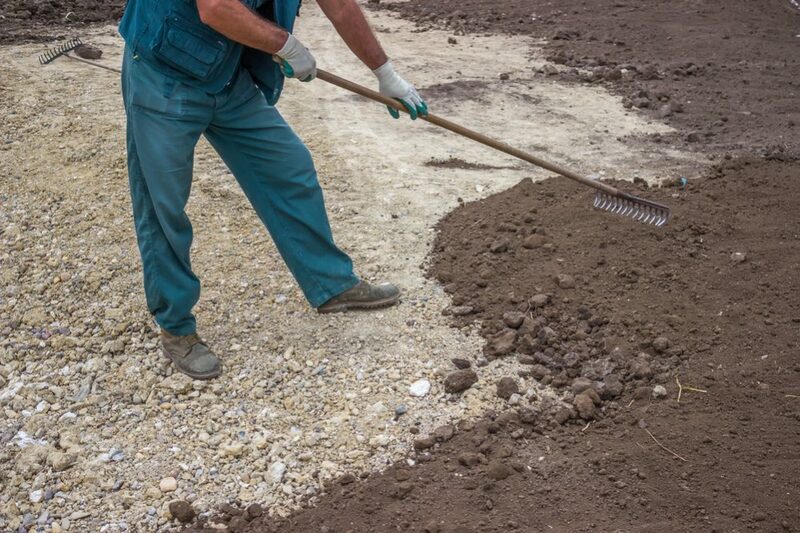 Before laying sod, you should prepare your land. 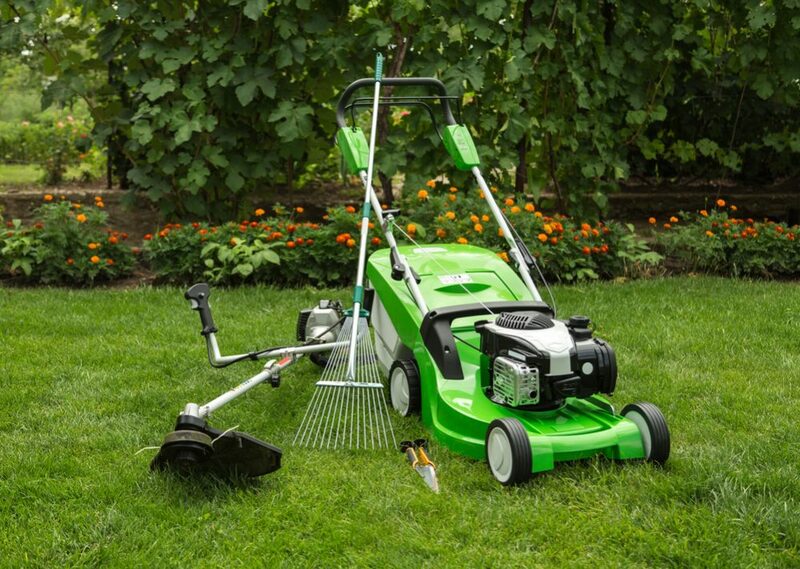 If you choose cool-season grass, the best period for this job is spring or early fall. For a warm-season grass, any time of the year is an excellent period to set-up sod. 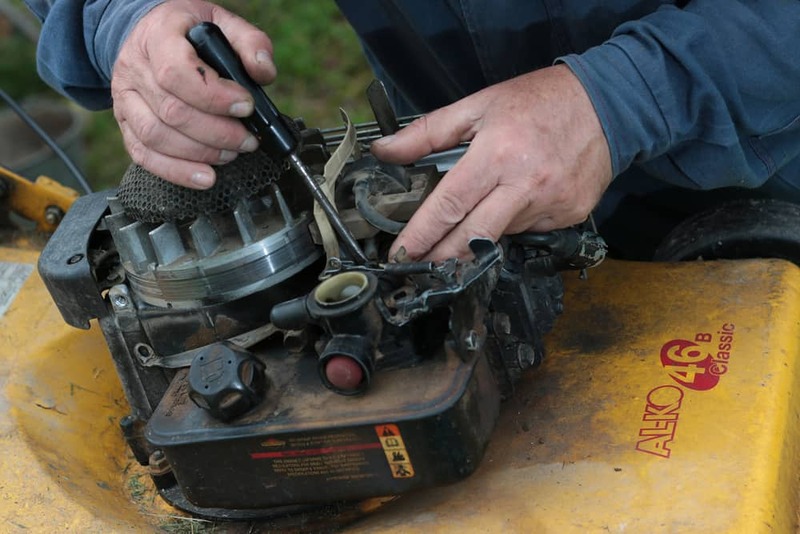 Use a rototiller to remove a surface layer of 6 to 8 inches (15-20 cm) of soil. Then, lay out 2 inches (5 cm) of compost, approximately 2 to 3 inches (5-7.5 cm) of sand. This underlay will improve drainage. Spread a certain amount of starter fertilizer and lime over it, based on the soil test results. These are the basic things you need to do before placing the sod. However, if you want to help the future sod root to strengthen more thoroughly, you can scratch shallow, longitudinal furrows in your soil by using a leaf rake. 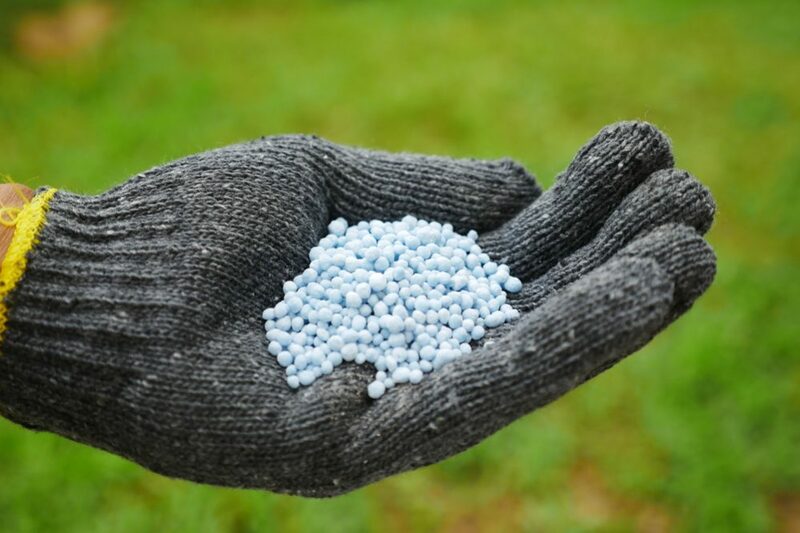 That way, you will spread a starter fertilizer over the ground and help your turf to start growing without much effort. 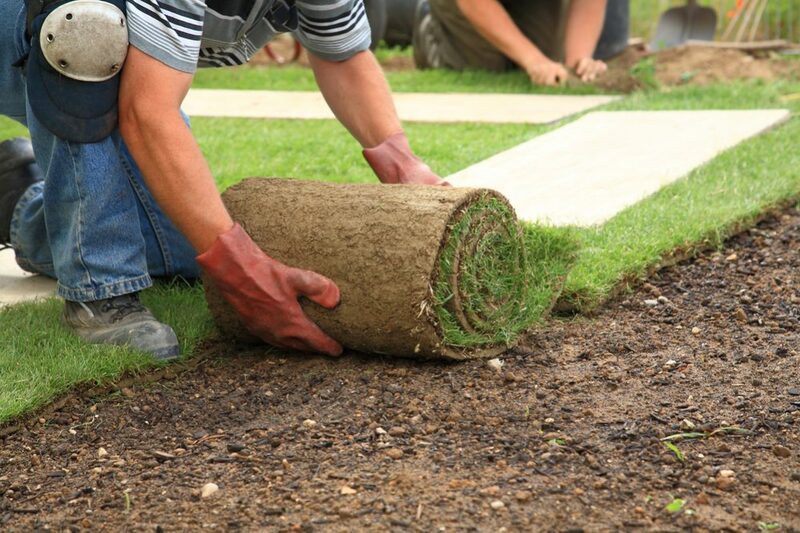 As soon as your sod is delivered, thoroughly inspect it. You need to make sure that the new turf is not damaged, and that there are no traces of disease or insect infection. Also, check the temperature of the sod. 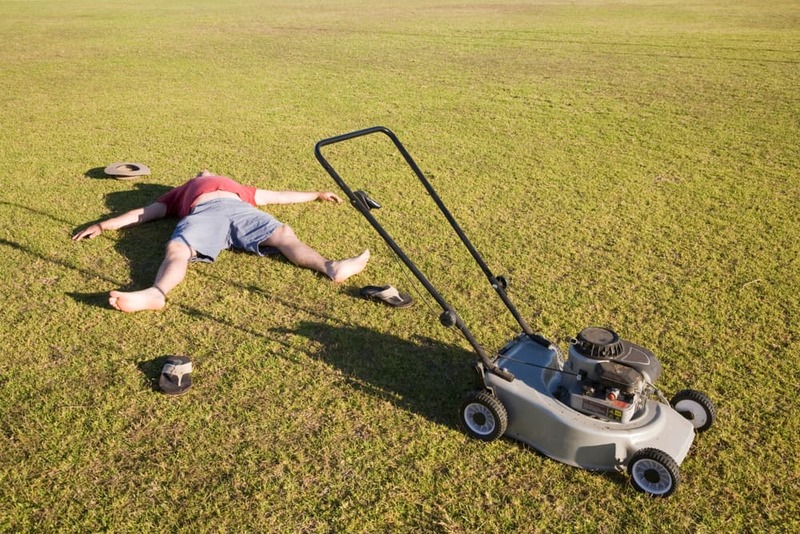 If decomposing has begun, you will discover that the turf is too hot. Try to lay it right away, but if it is not possible, store the moist sod in a cool area. Sprinkle the soil with water to prepare its surface for the sol. Check if there are lower areas and gaps between the future turf and the ground. If you notice some, fix the unevenness and level the surface. The best strategy is to use your sidewalk or the fence line as a starting position. Lay the first roll along it and continue to unroll and place the next row in a brickwork pattern. Since a single roll won’t be long enough for the whole length of your lawn, you will need to put two or more sod rolls one after the other. Be sure that you press the ends of the rows firmly together. Avoid making air pockets and overlapping the previous and next line. That way, the border between rows will be less noticeable, and grass along the edge won’t dry out. If one row appears too low, add some soil under it until getting the proper level. When place both stripe, push the roller over the set sod to press it down firmly and promote good contact with the soil. This part is very important because it will allow sod’s roots to develop better and expand. Don’t forget to keep sod strips moist. From time to time (approximately every half an hour), stop the setting of the strips and spray those you have laid with enough water. Opinions about whether it is better to grow grass from the seeds or to buy the sod are divided. I will give you a list of the advantages and disadvantages of each of these two options, and I hope that this kind of information will help you make your final decision. When you buy sod, you know exactly what you have bought (when you buy seeds, you buy just a ‘promise’). The only thing important for such a purchase is to choose a reliable supplier. If you lay your sod correctly, it will become established and root well after just a few weeks. After that period, your yard is ready for normal lawn traffic, including organizing a barbecue for friends, playing children, and jumping pets. Sod is an excellent solution for erosion control. Laid on slopes, your sod will help hold soil in place from the very beginning. Except during the hot sunny days, you can install turf anytime during the season of growing. If you purchase high-quality sod that is state-certified, you will solve almost every additional issue with weeds. Simply said, turf won’t allow weed seeds to develop. The initial cost of the laying sod is much higher. 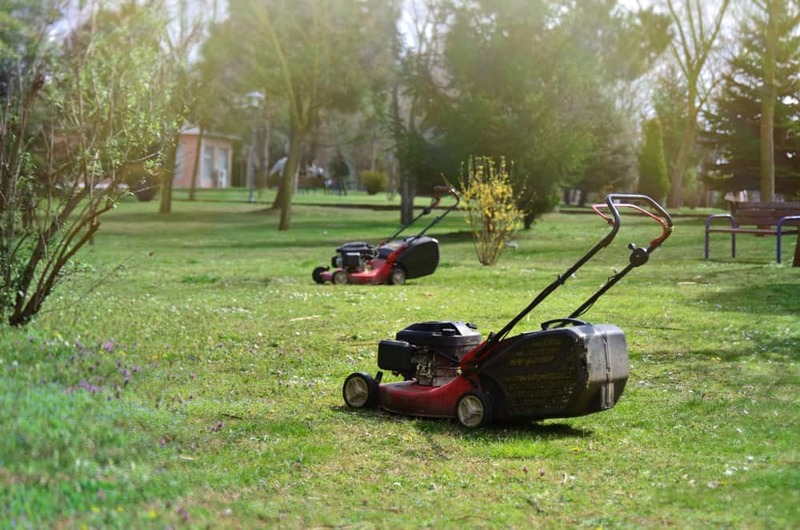 The price for one roll varies depending on the type and quality of grass and region where you live. However, it is pretty expensive even if you have a lawn of average size. All taken together, the full price of the sod is much higher compared with grass seed coverage. There is an issue with significantly different growing conditions in your yard, and the place sod was grown. It can be pretty hard for your turf to adjust to the new environment, especially if your lawn is in the shade on most of the day. There is less possibility to pick out the grass you desire because the choice you have is more restricted than seed selection. Basically, you can buy only the grass that sod farmers have decided to plant. Short period for transplanting is one of the serious challenges you will face off. 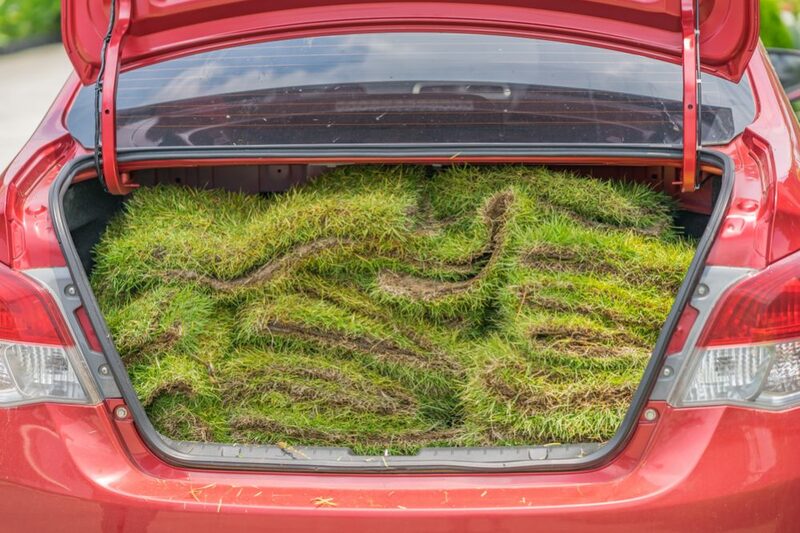 Usually, if you buy a fresh sod, you need to lay it within 24 hours of being cut. Any delay will lead to disappointing results in growth later. Additionally, labor expenses are higher. If you install sod improperly, you will get poor rooting. Plus, your lawn will be ugly and with visible seams. Therefore, you should count on expenses for trained professionals to do the job. Grass seed is much cheaper. Even the price of premium grass seed is really low compared to sod for the lawn of the same size. There is a wide selection of grass types you can buy for your lawn. 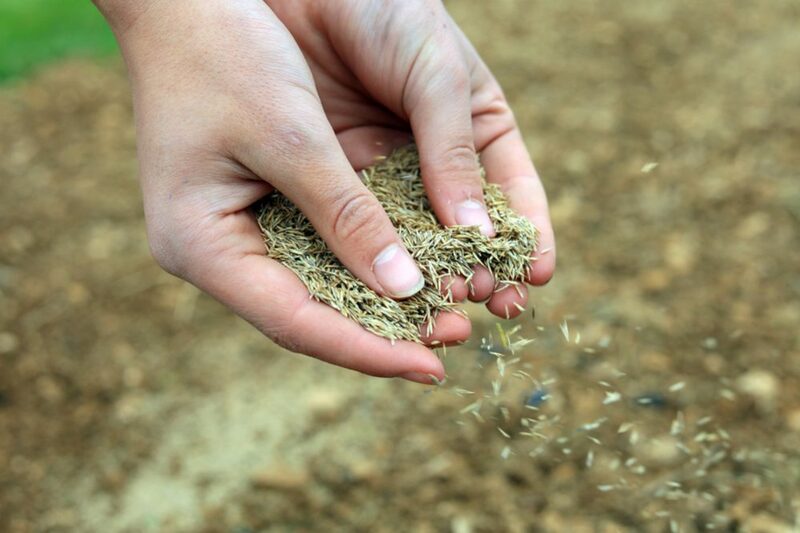 Thanks to expanded choices of grass, you can pick out the seeds which grow best in the region you live in. You don’t need professional help to sow the grass. It is enough to follow the instructions from the label on the package, and you can adequately finish that task by yourself. 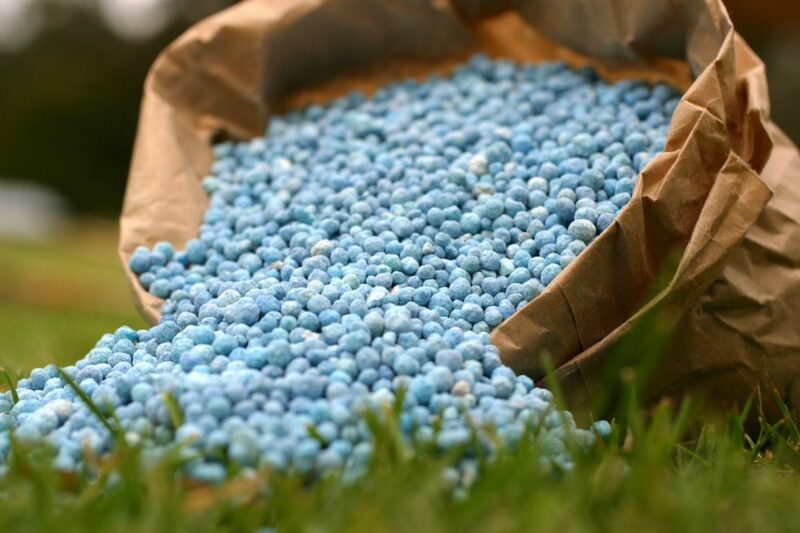 It is crucial to buy grass seed that will grow without limitation in conditions of lighting, the temperature, and the quality of the soil that your lawn offers. It will be much easier for grass to establish because it continues to grow in the place where it has germinated and rooted. There is no interruption in growth and development even downtime due to environmental change. The better growing of your grass means that you will need to spend less time on maintenance once the lawn is established. You can pick out grass variety which is resistant to pests and plant diseases or requires less water than ordinary grass. The process of grass growth from seed and its establishment on your lawn is a pretty long process with less certain results. For example, your seeds can rot, or birds can eat up them. 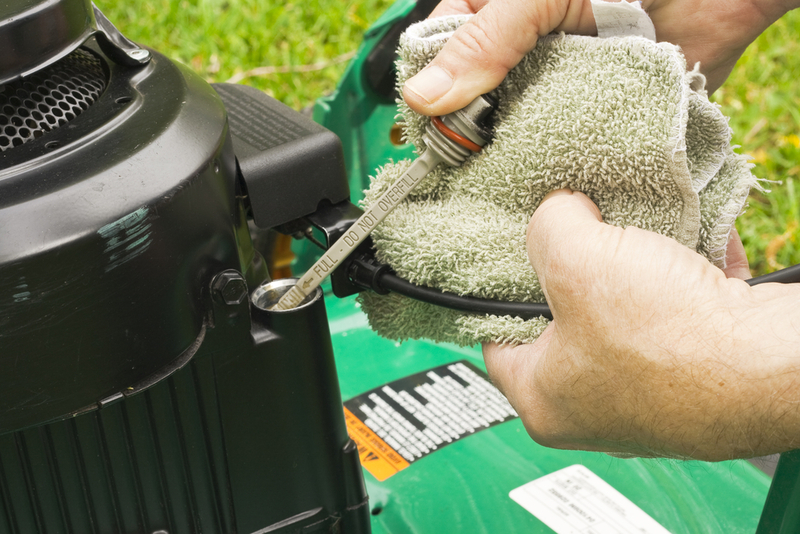 The growing speeds of your grass will directly depend on weather conditions. Heavy rain straight after sowing seeds could ruin all of your efforts. Thus it is essential to inquire about the weather forecast before beginning with the work. The initial grass establishment is gradual. Approximately, your seeds will need from ten weeks to three months before the time your yard is ready for foot traffic. You can’t plant grass in any time of the year. To get well-established seeds, you need to sow it during its peak growth times. For example, cool-season grass requires colder conditions, and you should plant this type of grass in early fall. On the contrary, you need to plant warm-season grass in the springtime to avoid devastation caused by frost. You need to spend a lot of time in your garden because your lawn will require more initial maintenance, including a lot of watering. Grass seeds are vulnerable when it comes to weeds. 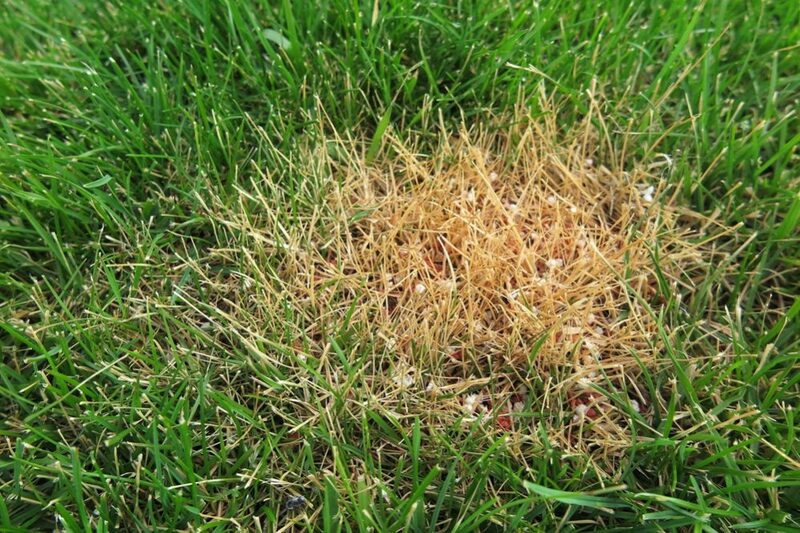 Your grass has longer maturation time, and the initial grass establishment is gradual. 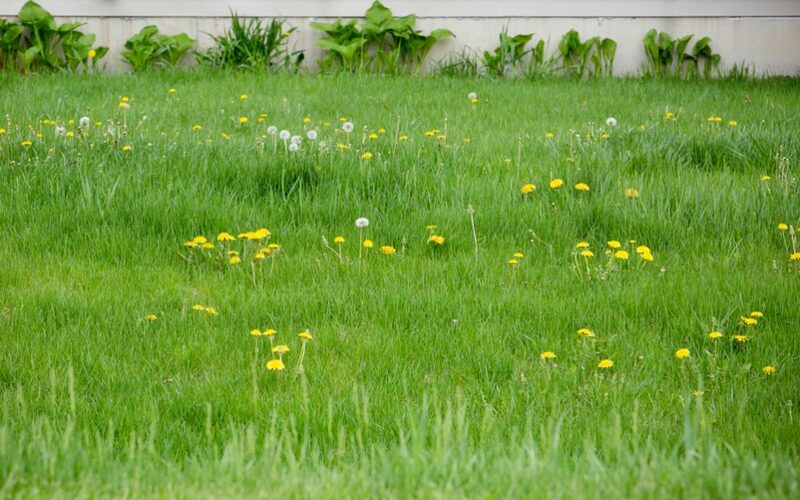 Be aware that your grass needs a full growing season to become vigorous, dense, and mature. That means that it will take time for your lawn to be ready for lawn traffic. For many people, placing the sod is an ideal solution to get an attractive and comfortable lawn. That doesn’t mean that traditional way with sowing the grass is outdated. Nope, that means that new times look for new solutions that don’t require too much time and our engagement. If you want a beautiful lawn and you want it fast, choose the sod, and you won’t go wrong.